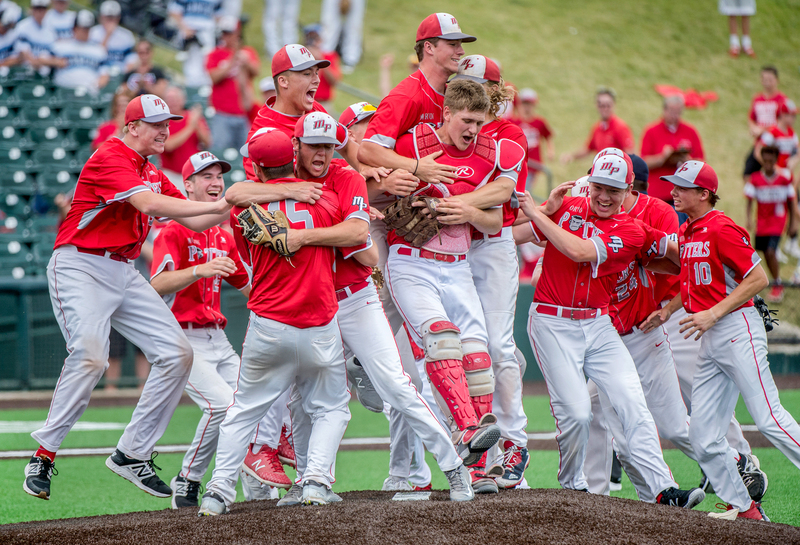 The Morton Potters celebrate their 4-1 victory over St. Ignatius for the Class 3A state baseball championship at Route 66 Stadium in Joliet. 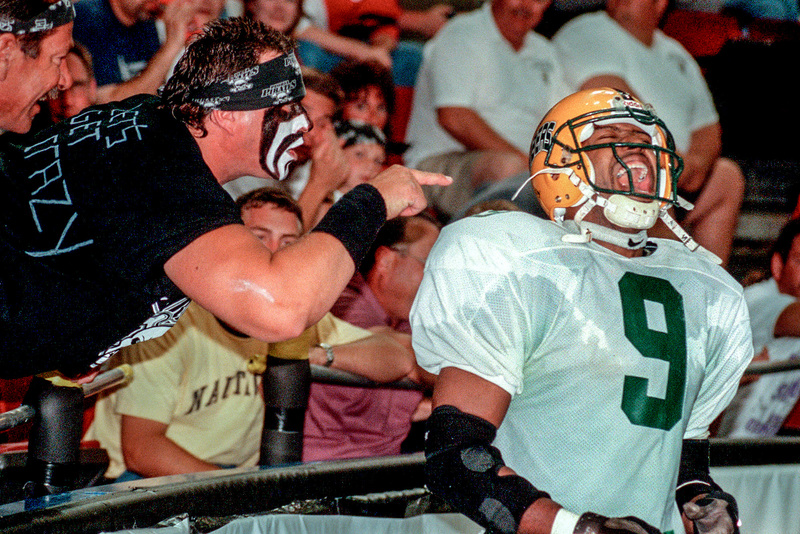 Peoria Pirates superfan Mike Bigga taunts a Green Bay player before the kickoff of an Indoor Football League game at the Peoria Civic Center. 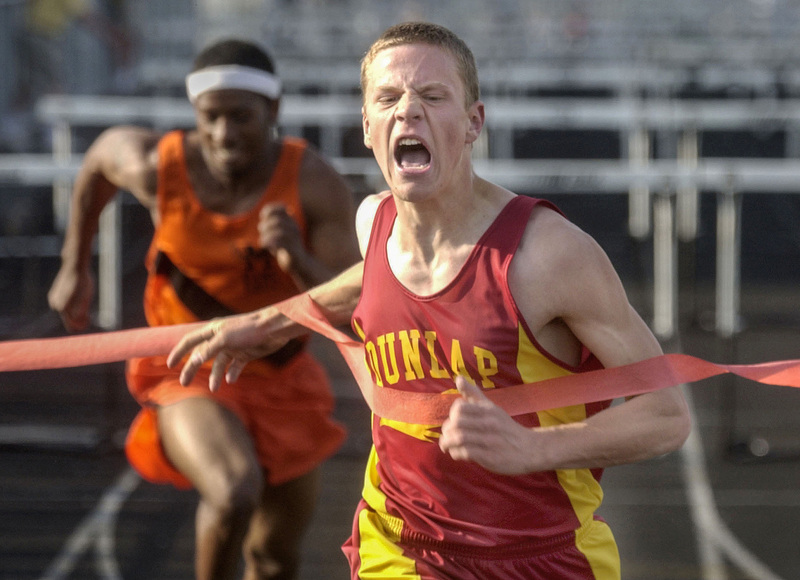 Dunlap’s Mike Mangers yells out as he breaks the tape in the 110-meter high hurdles at Peoria Stadium. 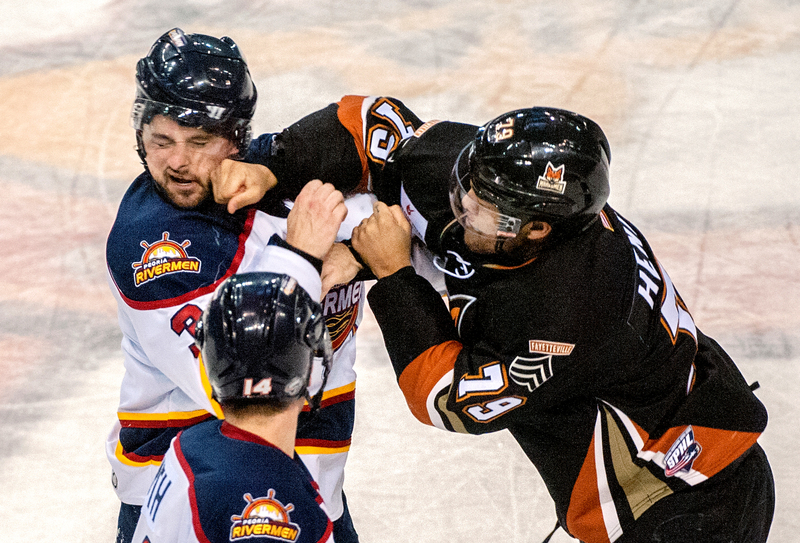 Troy Henley (79) of the Fayetteville Marksmen sucker punches Cody Smith of the Peoria Rivermen at the Peoria Civic Center. 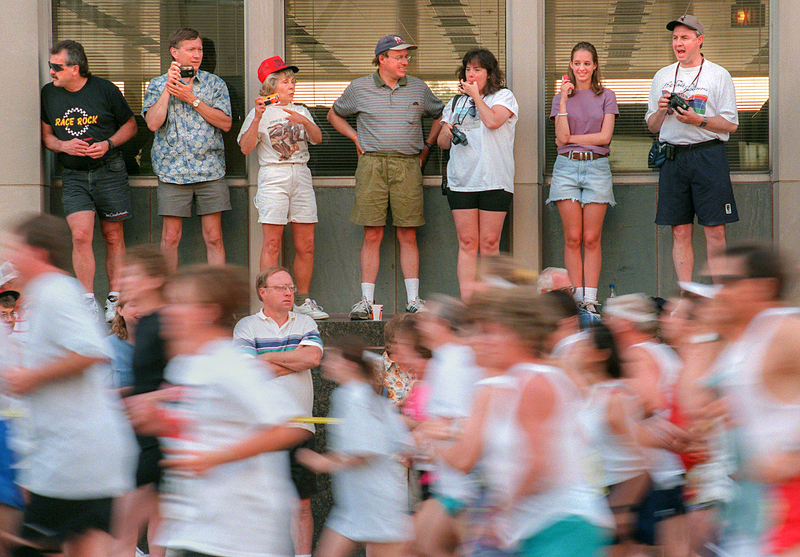 Spectators stand on a shelf on the walls of a building for a better view of the start of the Steamboat Classic Road Race in downtown Peoria. 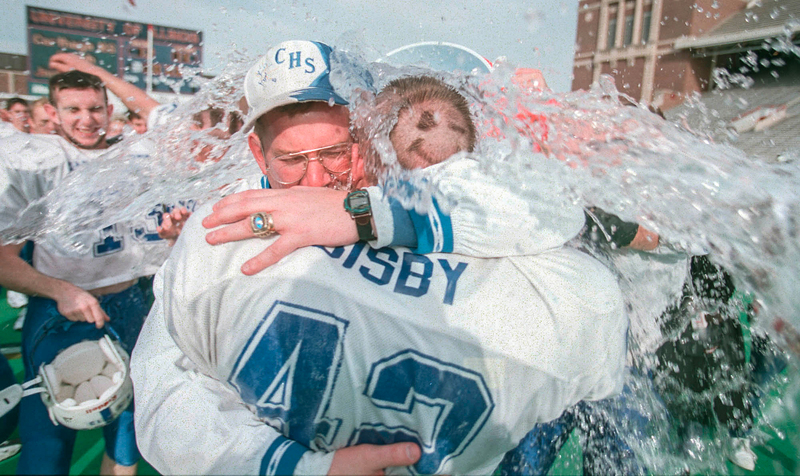 Carthage coach Jim Unruh gets doused as he hugs star player Curtis Bisby after the Blueboys’ state football championship in Champaign. 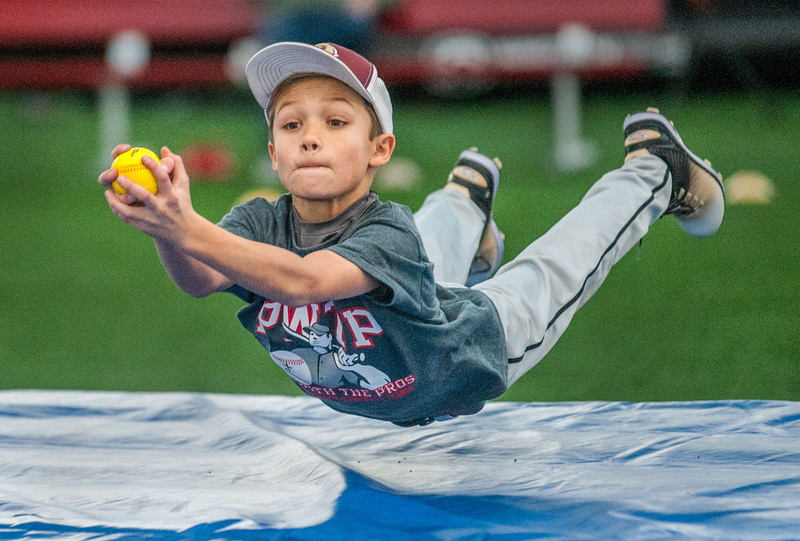 Ryder Christensen of Dunlap practices making a diving catch during a baseball clinic at the Louisville Slugger Sports Complex in Peoria. Matt Dayhoff © 2019. All Rights Reserved.